But for the year 2017, Xiaomi just launched the Mi series smartphone, where for the series Redmi there are only a few types that are launched. 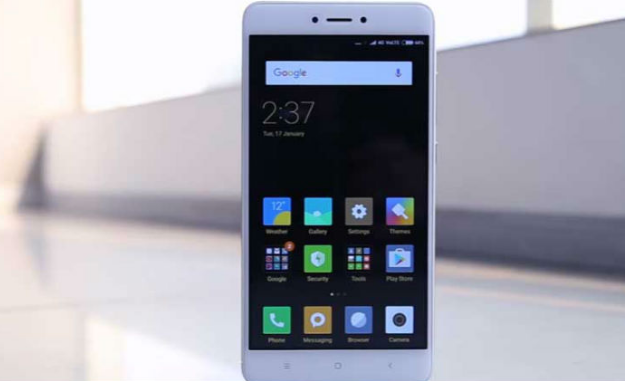 Redmi 5 is one of the smartphone budgets from Xiaomi which is expected to soon glide in the near future. The smartphone is expected to come with an 18: 9 full-screen design, which is now a new standard. Well, recently leaked about the device has appeared again. We can see that the size of the top and bottom bezels look the same, but we do not find anything in the bottom bezel. While at the top, we can see the ear-pieces and three circles where two of them can be ascertained as a front camera and sensor, while the other could be a second camera lens or LED flash. In addition to Redmi 5, Xiaomi also diharpakan come with Redmi Note 5 which also carries the screen 18: 9.